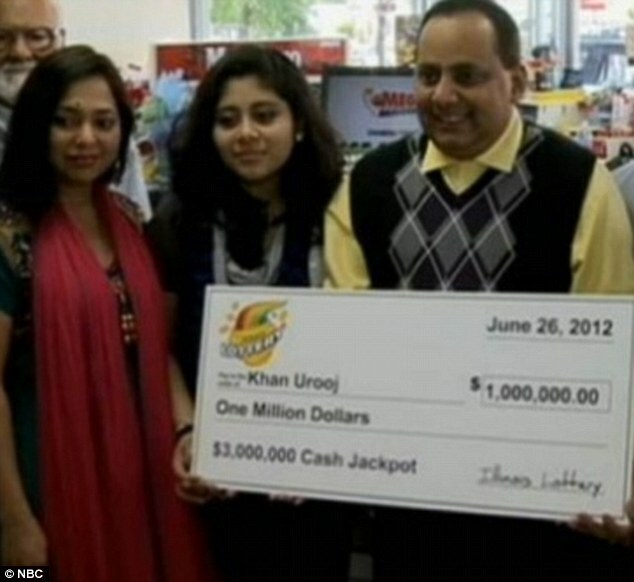 Chicagoan Urooj Khan found out the hard way that the lottery isn’t always a winning game. The 46-year-old had sworn off lottery tickets, save for just one more in June 2012, buying a scratch-off at his local 7-Eleven convenience store. And he wouldn’t need a single ticket more after he revealed a $1 million jackpot on the ticket. Khan chose to cash out the reward in one lump sum instead of installments, waiting for his $425,000 check from the state. The check was issued on July 19, but Khan wouldn’t have the chance to cash it — he was pronounced dead the very next day. Authorities determined his death was of natural causes due to hardened arteries and didn’t conduct an in-depth autopsy since foul play wasn’t suspected. (At 46, Khan was just a year over the cut-off age of 45, which has since been raised to 50). Examiners did gave Khan a simple toxicology test, the AP reports, which didn’t show any traces of opiates, cocaine or carbon monoxide. But when a relative pressed for a more thorough autopsy in August, the Medical Examiner’s office conducted an extensive chemical test. The subsequent result came as a shock: Khan had actually ingested cyanide, a lethal poison. Though the bitter white powder, which can kill a person in minutes, is widely known as a poisonous substance, Cook County Medical Examiner Stephen Cina says it’s extremely rare. Cina told the AP he’s only seen two cases of cyanide poisoning in the 4,500 autopsies he’s conducted. Chicago police are now treating the investigation as a homicide though they have not yet revealed if there are any leads in the case. Someone did profit off of Khan’s $425,000, though — his winnings were cashed on August 15, likely by his estate.